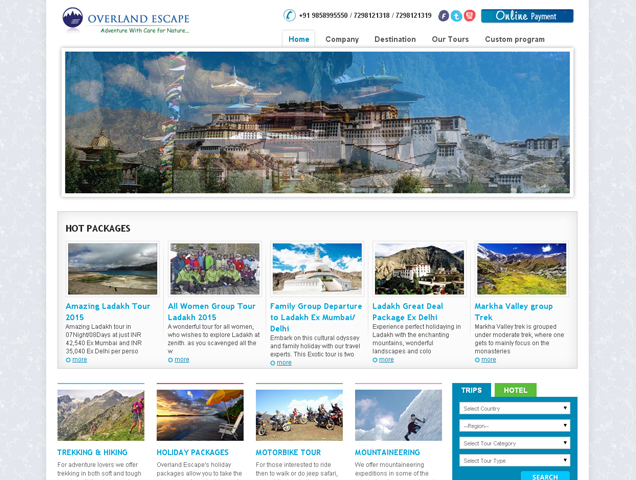 Overland Escape (launched in August, 1999) registered with the J&K Tourism Department has emerged as one of the leading tour companies within a short span. Our success lies in uncompromising professional approach with a sense of care and comfort. Special tour itineraries, sophisticated gears and manned by professionals we offer a range of tour packages to suite your taste and budget. rnrnTrekking, Mountaineering, White Water Rafting, Culture & Nature sightseeing and Special Interest Tours are some of our fortes. We have over 10 years of experience in handling Group and FIT trek and tours to Ladakh, Lahul Spiti, Sikkim, Gharwal Himalaya and other parts of India.We take special care of natural environment and local communities while organizing trekking, mountaineering, river rafting, cultural, wildlife and community based tours in India.